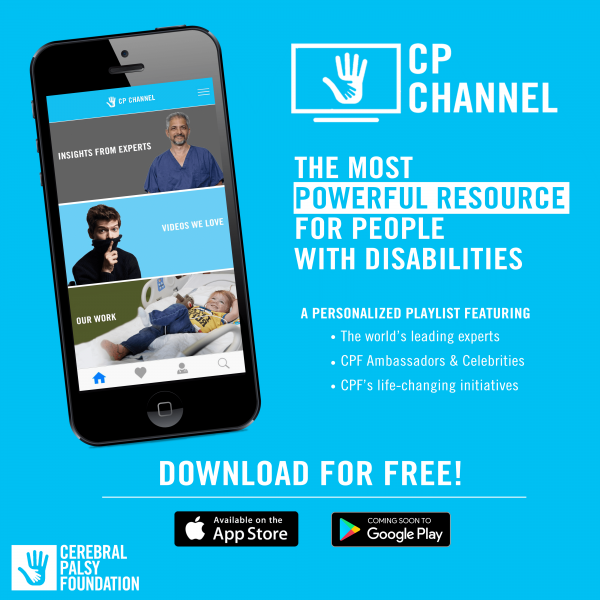 Download the Cerebral Palsy Foundation’s app. It’s free! CP questions: quick and informative answers to some of your toughest questions. Each week a new question is featured based on the community’s needs, making access to information easier! Over 100 videos from the world’s leading experts on cerebral palsy (including many of our own AusACPDM members), all in engaging, easy-to-understand language. Fun videos from the best story-tellers in the world of disabilities including our ambassadors, celebrities, and our community. Key videos to keep you up to date on the important work being done by CPF, so you can learn about initiatives that may be relevant to you.